The rise of electronic warfare has meant the U.S. Army is increasingly facing contested, congested environments. One of the clearest examples is Russia’s incursion into Ukraine, where the Russians utilized sophisticated jamming techniques to block communications and geolocate units based upon their signature in the electromagnetic spectrum. As such, the Army has identified that it needs certain capabilities to compete, one being an aerial pod that can sense and jam enemy systems, providing brigades with additional tools to combat sophisticated enemies. Leidos believes its submission to this program — known as Multi-Function Electronic Warfare (MFEW) Air Large — exceeds the Army’s requirements to provide brigade combat team commanders with organic offensive electronic attack and support capabilities. The MFEW Air Large, which will be mounted to a MQ-1C Gray Eagle unmanned aircraft, will not only provide electronic attack and electronic support, but also it will supply “cyber bullets” and a signals intelligence capability with onboard language translation, reducing the need to forward deploy linguists. The pod can conduct “attacks” on Wi-Fi networks, intercepting messages between enemy combatants and even allowing friendly forces to delete and alter messages to adversaries, an information operations component that could help control the battlespace. Moreover, all computing power for the pod is integrated onboard, meaning it can operate in a contested environment because the data does not have to be computed elsewhere, Adam Hinsdale, project director with Leidos, told C4ISRNET during an interview at the Association of the United States Army annual meeting Oct. 8. In addition, forces below can still have accuracy when conducting SIGINT from the aircraft in a GPS-denied environment thanks to assured position, navigation and timing capabilities. Hinsdale described how using vision-based tools to know where the aircraft is even if its GPS is jammed will allow the SIGINT information to provide accurate geolocated information. Officials recently said MFEW Air Large, which the Army pursued through the other transaction authority rapid procurement vehicle, will fly next year, meaning a contract award should be coming soon. 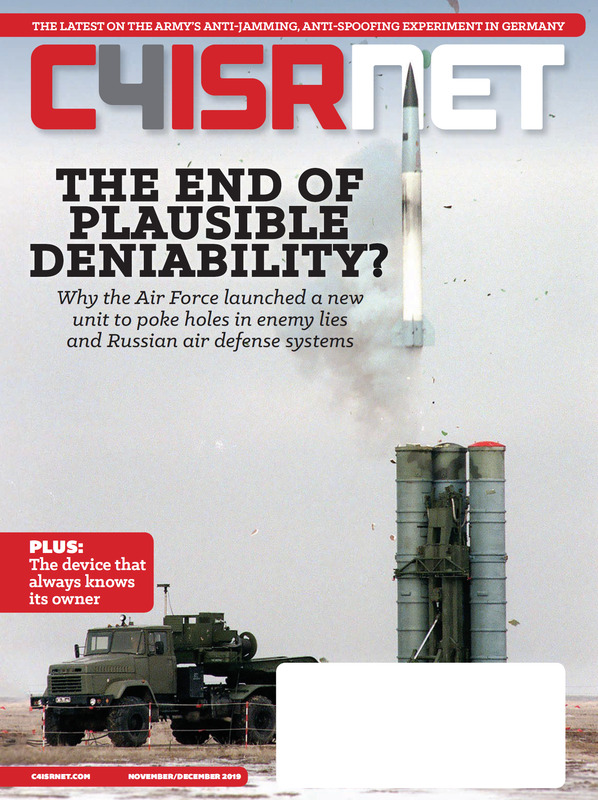 One major electronic warfare program could be ready soon. 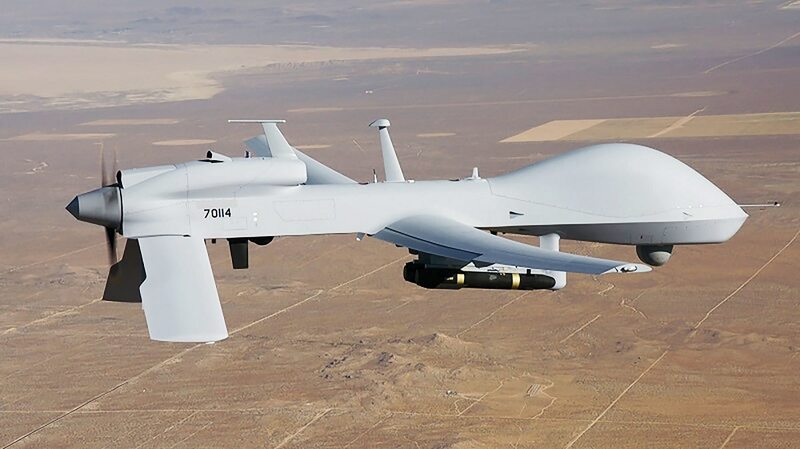 In terms of what might be in the art of the possible from an electrical sense, General Atomics, the maker of the Gray Eagle, has been involved in informal discussions with the Army to make sure they understand what power is available to achieve desired effects. Given the Gray Eagle carries a variety of sensors, each requires power to run. The more power available on the aircraft, the more powerful the jammer can be, Chris MacFarland, director of Army programs at General Atomics, told C4ISRNET Oct. 10 at AUSA. MacFarland added that General Atomics is spending its own money on developing new generators aboard the aircraft that could have the potential to double available power, which could enable a more powerful emitter. While MacFarland acknowledged he didn’t know what the Army’s requirements are for MFEW, he noted the discussions merely involve informing the Army about available power on the airframe to inform them what can be feasible.